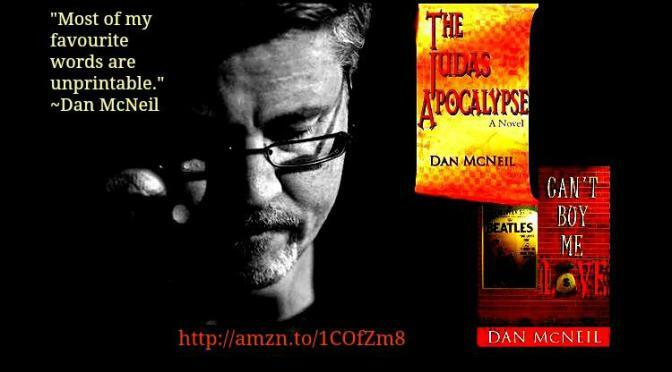 You know, when I first got my hands on The Judas Apocalypse it was just after interviewing the author Dan McNeil. That was about a year ago. But with writing my own books, having books lined up to review, authors to interview, and all of that kind of stuff, I just now got around to having a chance to read it. Three cheers for my internet being a pain, right? Why now? I’ll be honest, I wanted a good story to read. And every single one of those is based on my opinion. Albeit an educated opinion at this point. 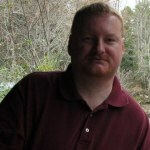 I’ll tell you, I’ve read a lot submissions lately and they haven’t made it to the book review section of LitWorldInterviews.com for various reasons. I give each author the option of saying no to a review being published if the rating is less than a 3. I read a book for story and only begin to take away from a book rating if writing gets in the way of the story. When I read a book I in fact look at the story first and foremost. If the story is working for me and the writing isn’t getting in the way, then things are fine. If the writing is to the point of pulling me out of the story, then we have a problem. Yes, I do read the books I get sent. Sometimes you just don’t want to know the results. I am an amazingly honest reviewer. You can ask anyone I’ve reviewed. Ask the friends I’ve reviewed. Ask the authors that work on the LWI site that I’ve reviewed. After the pain of some recent books I’ve read, agreed to and voluntary reads, I wanted a good story with good writing. I’m not saying the stories are not great story ideas, it’s just that some people need patience and some writing coaching to get that great story idea to the level it deserves. It’s even been suggested I do some writing coaching. Yeah, some people have insane ideas. But I’m actually better at helping others than I am at helping my own writing. Aren’t we all? After a few of those painful reads I needed a go-to writer that I felt confident would deliver a good read, with at least good writing. I’m not telling you that The Judas Apocalypse is not great writing . . . yet. I’m telling you I was looking for a good story, from a good writer. And I knew Dan McNeil would deliver that from all that I knew about him. I had two books of his to pick from and I picked this one. Oddly it turned out that I was very qualified in many ways to be the reviewer of The Judas Apocalypse. I am a World History expert, or so I have been told as a teacher of it. I have been deeply involved in religious studies and apologetics. I also have written a draft of a YA book including information and historical characters Dan McNeil mentions on his book. Meaning I have researched a lot of things Dan included in his book. And I mean a lot. In other words, I could tell if he was phoning in his story or if he actually put work into it. I’ll be putting out the review soon on LitWorldInterviews.com. You can find out if he let me down or not. Remember, I’m painfully honest.